I was pleasantly surprised by the response to my “It’s Over” blog. As of this writing over 4,600 people have read the post. My initial thought was that these readers must love NASCAR too. I was wrong. People read and commented on the blog because of its unique vulnerability not because of my firm’s failure. I was also pleasantly surprised by several industry titans that reached out and wanted to understand more about what lessons could be learned. One Titan had already given me advice when I started Sanctuary. His advice then was to avoid stockbrokers. I told him I wish I would have listened to him and he wryly shared that he had another item I should also be aware of - “Pro Wrestling is fake”. 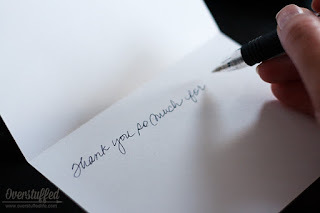 I grew up in The South and my mother instilled the importance of writing thank you notes. Hopefully Mom will understand that writing 4,600 thank you notes is unrealistic. I do want to thank everyone who read and commented. Your support means the world to me.